2013. All steel construction, 2x water-tight compartments. Swim ends fore and aft. Total weight approx 9.5T. Estimated payload approximately 12 tonne. 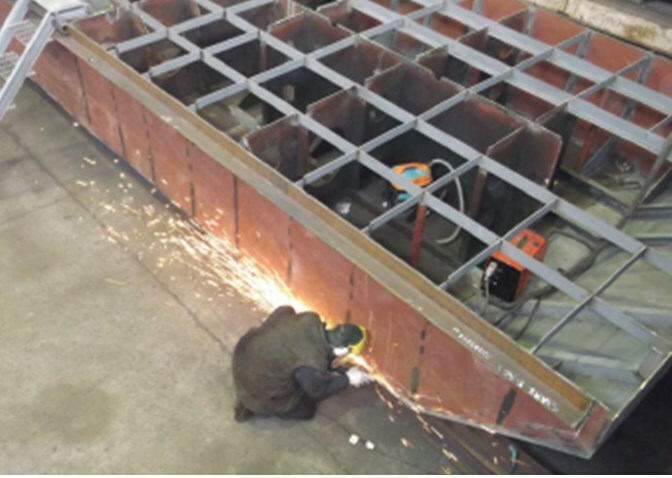 Barge sides – 6mm steel plate. 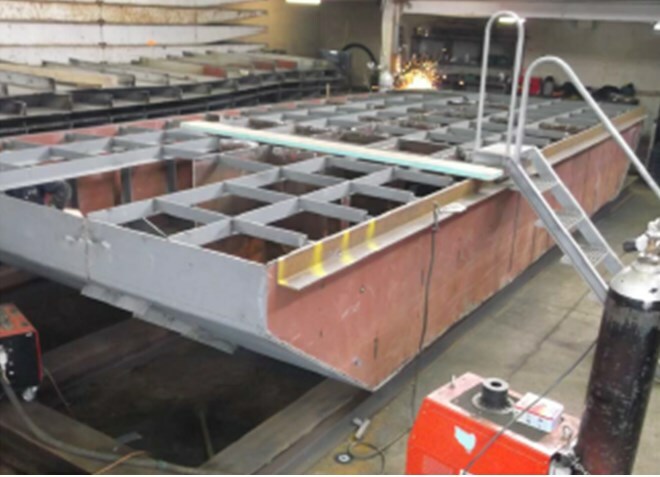 Deck and bottom plates – 8mm steel plate. 12 x deck mounted D Rings for lashing equipment on deck. 4x side mounted D Rings for lifting barge with a crane. 4 sets deck bollards (1 set each corner). 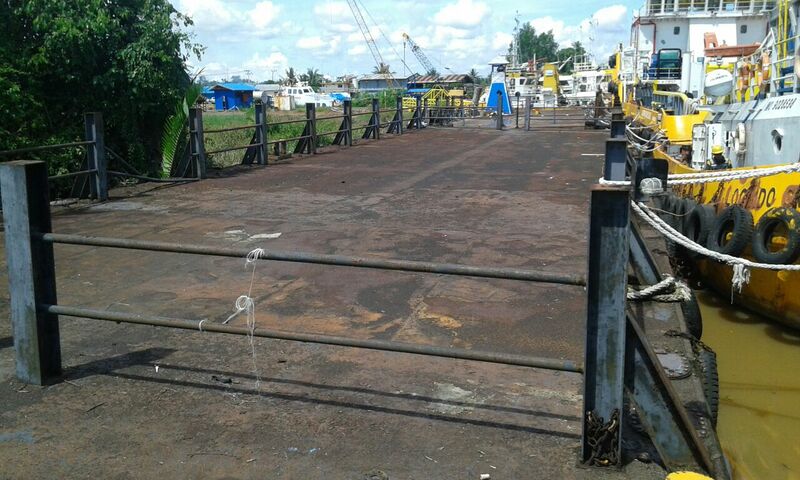 Timber belting in steel channel all around deck level (100mm). Painted internally with PrePrime 167 LTC low viscosity penetrating primer and Bar Rust 236 epoxy high build coating. Painted externally – under water – Intergard 269 epoxy primer, Intertuf 362 epoxy anti corrosive, Intergard 263 epoxy tie coat, Interclene 165 TBT Antifouling. 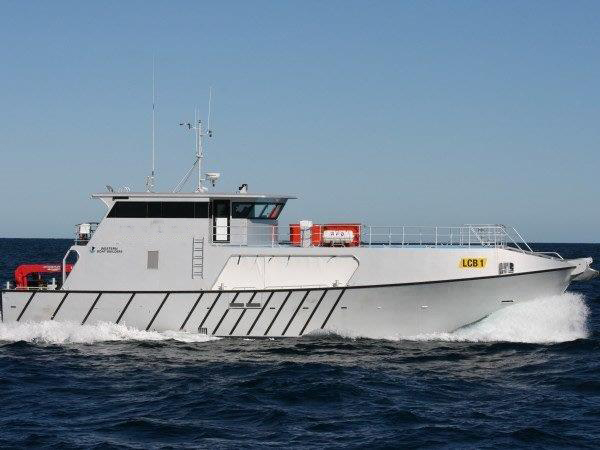 Topsides – Interzinc 52 epoxy primer, Interzone 954 epoxy, Interthane 990 polyurethane finish. Deck – Interzinc 52 epoxy primer, Interzone 954 epoxy.